Every once in a while here at BestLeather, we see a product that makes us think “Why didn’t I think of that?” The Westward Leather Double Tray Dopp Kit is one of those products. It’s both a great idea and a great execution. Let’s take a look at what makes this dopp kit so exceptional. We had the chance to meet with Ben, the founder of Westward Leather, at one of our favorite coffeehouses in downtown Spokane (Rocket Bakery). “Basically, I make containers for people to use for their stuff…”, is how Ben explained his company. This might be true – but, his containers look fantastic and are built to endure years of use. Handcrafted from beautiful 8-ounce heavily oiled bridle leather, this kit features overlapping double hand-laced waxed nylon seams, and solid copper hand-set rivets. This dopp kit won’t be falling apart any time soon. The two-finger carry handle is interlaced with the seam and stays fairly flush against the side for easy packing and carrying. At 8” x 6” 2.75”, the Double-Tray Dopp Kit is the absolute perfect size. A lot of dopp kits on the market are simply enormous and end up hogging half of your carry-on suitcase or duffle. This one is the perfect size to fit all the essentials—toothbrush, toothpaste, razor, pomade, etc., without overwhelming your weekender bag. The greatest feature this dopp kit is its genius lid design. The lid is designed to be entirely removable to act as a valet tray on the go. Simply unfasten the wrap around strap with solid brass snap, and you immediately have a valet tray to set on your hotel nightstand. It’s a great catch-all for your keys, change, wallet, and hotel keys, and you don’t even have to think about packing it because it’s attached. The 8-oz bridle leather comes only in this attractive chestnut shade. The valet tray and the bottom of the dopp kit fit together very smoothly and compactly. The buffalo stamp in the bottom right corner is a subtle reminder of Westward Leather’s heritage theme. 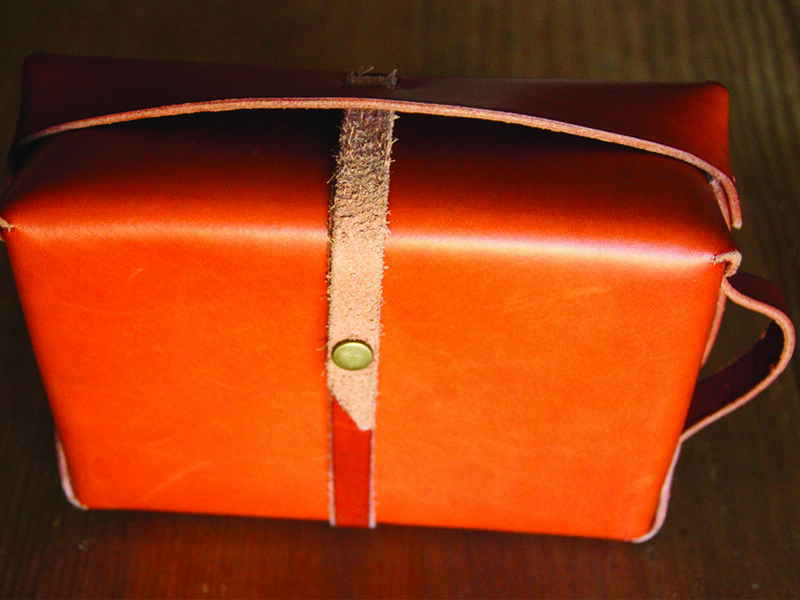 This dopp kit looks like nothing else on the market and is sure to be a standout product for Westward Leather. The Westward Leather Double-Tray Dopp Kit is a very unique, standout product. 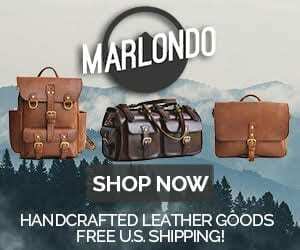 It’s handmade in the USA, features double-stitched seams, copper rivets, and a genius design. For $180, you’re getting a great dopp kit as well as a valet tray. This is a product that I plan on carrying on every trip for the foreseeable future. And, it definitely qualifies as a Buy It for Life product. Be sure to check out Ben’s other great products on the Westward Leather website.